Venice Marco Polo International Airport is located directly on the shore of Venice lagoon and is reached by water taxi from Venice hotel. 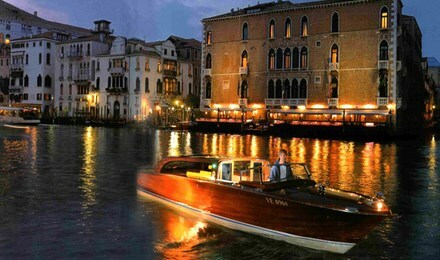 Transfer takes about one hour as you pass the islands of Murano and Burano with vistas over the city on water. vistas of Venice and islands of Venetian lagoon.